As you move into the next stages of life, we are here to help you experience ease of progression. We offer both Assisted Living and Memory Care services all under one roof. To learn more about each care level please view our services and amenities below. THE PERFECT BLEND OF COMFORT, CARE AND ACTIVE LIVING. Northshore Heights Senior Living specializes in all-inclusive, highly personalized care for each of our residents. Our trained and experienced care staff is available 24 hours a day to attend to residents’ individual needs. Personalized care routines are the foundation of our assisted living program. Our team is focused on community engagement and personal well-being. The Retreat at Northshore Heights Senior Living is our special Memory Care program. We offer a bright, inviting and secure environment that includes a large outdoor garden area. 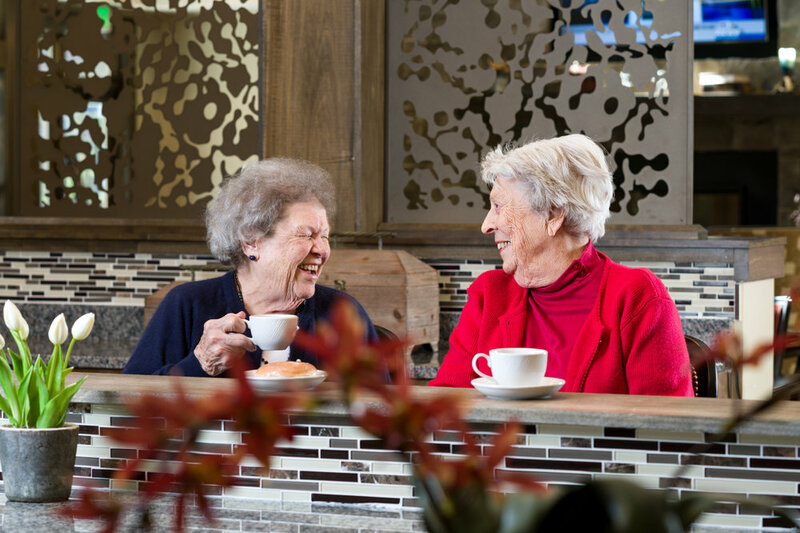 Our memory care team is specially trained to focus on the unique strengths and needs of each individual resident. We celebrate our residents' preferences, personal accomplishments and family ties. For more information about our community, please call 865-444-1294 or fill out our contact form.